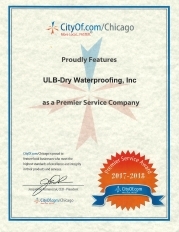 ULB Dry Waterproofing provides full-service commercial and residential basement waterproofing in the greater Chicagoland area, as well as many of the surrounding suburbs. Backed by more than 25 years of experience, our team takes great pride in our work and the services we offer. 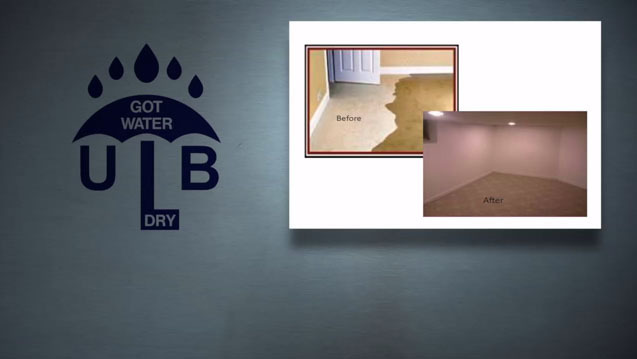 ULB Dry offers a complete line of the most up-to-date basement waterproofing and foundation crack repair techniques. ULB Dry Waterproofing was founded by two individuals with over 25 years combined experience in the waterproofing industry. We have spent the last 18 years working for one of the Chicagoland area’s major waterproofing contractors, specializing in both the residential and commercial ends of the field. There we oversaw the operations of a service department that maintained the highest quality of both fieldwork and professional ethics in the industry. But perhaps the proudest achievement was the ratio between callbacks and new work, which was constantly the lowest in the industry. By offering the latest methods and materials available, as well as those that have been tried and tested throughout the years, we are committed to maintaining the same degree of professional quality service and ethics that help make our previous company so successful. ULB Dry Waterproofing provides a 10-year warranty on interior sealing of cracks and drain tile installations and a 5-year warranty on exterior repairs. Warranties are fully transferable for their duration. Contact us today and learn how to dry out your basement and reclaim that unused living space! Call (708) 978-7558 for more information.